It is not possible for people to purchase contact lenses directly after an eye-examination with a doctor’s prescription. The prescription, which may be useful for getting eyeglasses, may not be the same prescription for the contact lenses you have the intention to start using. So, the foremost thing is, if you are planning to buy contact lenses, let your doctor know at the time of your appointment and discuss with him about your necessity, preferences and choice. He will look after the contact lenses fitting in addition to your regular eye check up. An accurate prescription is only delivered after thorough checking through various steps, apart from the regular eye testing by your doctor. According to the FTC (Federal Trade Commission), a prescription should have valid information regarding the patient's name, the date of examination, the expiry date of the prescription, the power of the contact lens prescribed and the preferred material, the base curve and appropriate diameter of the lenses along with the name of the lens manufacturer. Please take a note that the prescription should contain the name, address, phone number and fax number of the doctor. The doctor, before coming to any conclusion about the prescription of your contact lenses, will perform a vision exam to measure the refraction of light through your eyes. This includes a lot of steps like measuring the complete surface of your eye, using a sensitive instrument known as a Keratometer. It helps the specialist to determine the proper size and the curve of the contact lenses. The cornea might get damaged, in case the shape of the contact lens is too flat or steep, and if it is not suitable for the surface of your eyes. Thus, the contact lenses fitting plays a major role in setting or purchasing the contact lenses along with other computer measurements for your eyes to measure the total front surface, because, only the top portion of the cornea will be measured by the keratometer. The doctor will also place trial lenses on your eyes to have an idea about the fitting. Remember, like prescription drugs, contact lens prescriptions come with an expiration date, which is usually a year after the exam. You must always remember that not every contact lens will be suitable for every eye; various other factors should be kept in mind while choosing the lenses like, the sensitivity and dryness of the eyes. Though most of the contact lenses use the tear film on the apex of your eyes, the dryness of some eyes will not allow people to wear that type of contact lenses. Sometimes you need to moisten them with artificial tears in case the eyes are too dry. The device biomicroscope will be used by your doctor to monitor the health of your cornea and to check whether the contact lenses you are using are not creating any damage to your eyes. The biomicroscope will also allow your doctor to monitor the changes to your eyes and prescribe a comfortable contact lense wear. Finally, for accurate contact lenses fitting it is also important to know how long one must wear the contact lenses and what care you must consider for cleaning and disinfecting the lenses. The contact lenses with a proper fitting not only ensures an accurate vision, but also protects the health of your eyes, as it is something that will be interacting with your cornea all through the day. In case of an improper fitting, you will not only suffer from discomfort in the vision, but fatal hazards to the eyes like inflammation, swelling and abrasion are likely to occur. Be careful while choosing your contact lenses, because they are medical devices. The wrong type of lenses and an improper fitting will be harmful for your eyes and create vision problems. 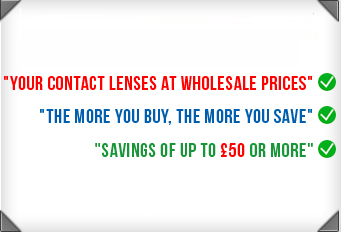 Our website, Contact Lenses Express will guide you in many ways for contact lenses fitting without a prescription. The following links will help you to find the right choice of contact lenses depending upon the prescription provided by the expert. We also provide an online prescription service to our customers to make them feel comfortable while availing of these facilities.